I am barely aware of the start of 2019 and we are already planning Valentine’s Day, which is on a Thursday this year. Easter is April 21 and Mother’s Day 3 weeks later. Then wedding season starts, and the year is half gone. Apart from Valentine’s Day, no special events are planned in February but we have a Teeling’s Irish Whiskey Tasting Event on Monday March 4, which will be a perfect continuation of all of the fun we’ve been having at our recent sparkling wine tastings. Tickets will be available soon on Eventbrite. We all use straws, right? We have been handed a new and interesting challenge by our lawmakers this year, that of plastic straws. The law now states that we cannot offer plastic straws to our guests but can only serve them on request. There are going to be quite a few unhappy campers who assume that straws should be automatically present in the beverage, but we will all adjust as time passes. The reason for the straw law? We are polluting the ocean with huge amounts of plastic, straws being a small but important part of the problem. 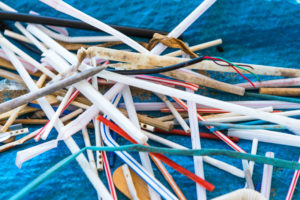 In the US, we use about 500 million straws a day and right now there’s about 7.5 million straws polluting US beaches. It can take up to 500 years to absorb a straw into the environment. Paper can only be used one time, can soften and perhaps break down (think 1950’s). Children tend to shorten the lifespan of paper straws. We used to unwind them as we emptied our tiny bottles of Coke. Bamboo is a completely natural product but breaks down over time and is difficult to clean. Hay is completely natural, but can split easily. One time use. Corn Plastic is biodegradable, one time use. Is commercially compostable, degrades in 6 months. Same feel as plastic straws. lacerations. Ask your dentist if these are a good idea. laceration issues as stainless steel. Not good for your tooth enamel either. Glass is breakable, although the borosilicate (pyrex) ones last a long time. I worry about tiny bits of glass getting where it can cause problems in a restaurant. 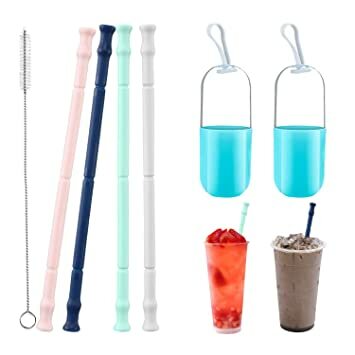 Same cleaning issues, same dental issues as metal straws. 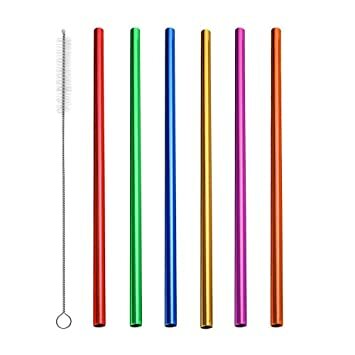 Did anyone know there were so many kinds of straws? What to do, what to do? Do we all carry around our own personal straws? Make a straw fashion statement? Have one custom made with its own special box? Kate Spade makes reusable acrylic ones, very fancy. 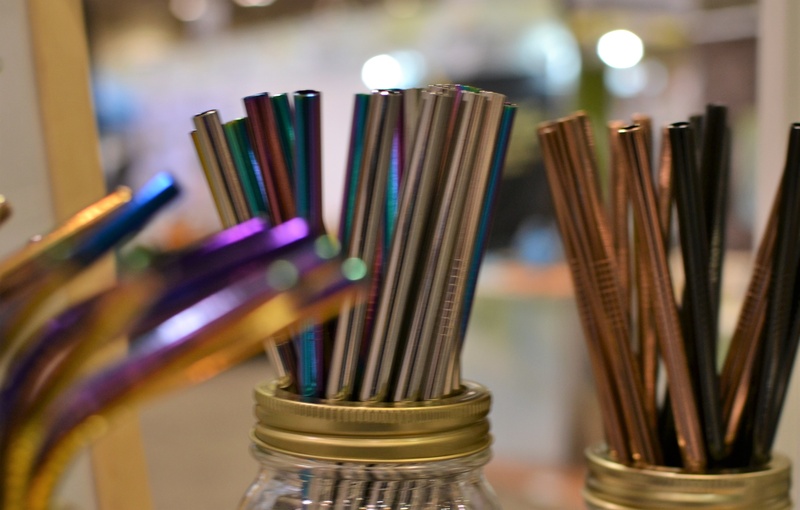 Should a restaurant carry reusable straws? Charge for their use? Make it a souvenir? Come up with some sort of straw promotion? Should a reusable straw become part of the place setting? Would people take them? We did away with Scott’s pens and matches because they were expensive. What about sanitation? Who will wash the straws by hand? Who will end up paying for cool straws that don’t pollute? Yup, that would be you. The restaurant business is never boring, which is why I got into it in the first place, but sometimes it makes my head spin, thinking of all the new challenges that can distract us from what we love to do, serve great food and drinks to all you great people!